Next time you beat your mate at FIFA, send ’em to this. Then put a couple of quid on your next game at our partner’s VirginGaming.com. Check out their “Who are ya! – No More Friendlies” video here. The all-new Virgin Gaming experience makes it quicker and easier than ever to throw a coin or two on your FIFA 13 games with friends. It’s time to up the ante. 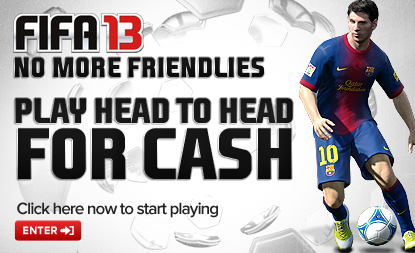 Want to Play FIFA 13 for Ca$h Now against your mates? 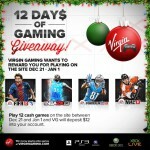 Sign up with/Get over to our parters at VirginGaming.com and Play FIFA 13 and win that Ca$h against your mates!